Unless you live a fairytale life where you don’t have any worries in the world and are being taken care of my seven dwarves, then you probably deal with some sort of stress on a day to day basis. And although a little bit of stress may be the push behind you being able to accomplish your goals, too much stress can cause health problems; even for your mouth. So, what exactly can stress do to your teeth and oral health? Bruxism or teeth grinding is a fairly common oral condition that many patients are completely unaware of. Typically, bruxism is caused by things such as stress and occurs either during a stressful situation or while a patient is sleeping. If too much tooth grinding occurs, it can lead to further problems like temporomandibular joint disorder (TMD) or it can even wear down your teeth. Luckily, with a simple oral prosthesis, we can usually prevent it from getting worse. Have you noticed that when you are really stressed out at work or at home that you suffer from dry mouth? If so, you’re not just imagining it. Dry mouth can be caused by a variety of things including the onset of stress and anxiety. To help treat dry mouth, we typically start off with something as simple as a bottle of mouthwash and then if that doesn’t work, we can look into medication. As previously mentioned, one condition that is often caused by too much stress is a temporomandibular joint disorder. With this condition, patients often clench their jaw too hard when they are stressed which places a strain on their TMJ and can cause things like swelling, aching, and stiffness in their jaw. As an initial treatment, we usually recommend patients try some jaw exercises, avoid hard to chew food, and cut down on stress. 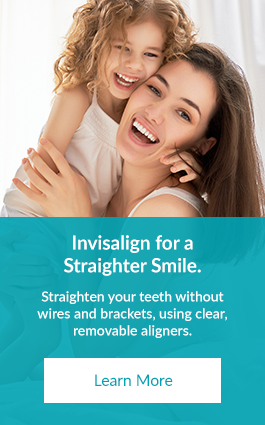 If those treatments don’t work, we can consider orthodontics, jaw realignment, oral devices, or TENS. Stress can make you physically ill and can even contribute to these oral conditions. If you suffer from any of these conditions, contact our office today, and we can help find you a solution. Call our Edmonton office today at 780-489-1010.